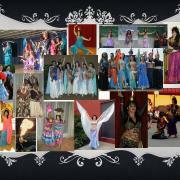 Home » Classes » Flamenco, Samba, African Dance & Drum & MORE World Dance & Vairety Entertainment!! 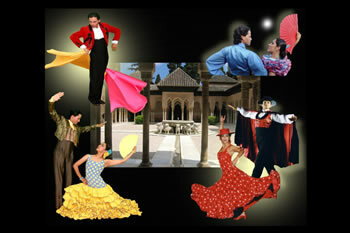 Flamenco, Samba, African Dance & Drum & MORE World Dance & Vairety Entertainment!! Along with its Spanish origins, Romani, Byzantine,Sephardic and Moorish elements have often been cited as influences in the development of flamenco. It has frequently been asserted that these influences coalesced near the end of the reconquista, in the 15th century. The origins of the word flamenco are unclear. It was not recorded until the late 18th century. Flamenco is popularly depicted as being the music of Andulusian gitanos (gypsies) but historically its roots are in mainstream Andalusian society, in the latter half of the 18th century. [note 1] Other regions, notably Extremadura andMurcia, have also contributed to the development of flamenco, and many flamenco artists have been born outside the gitano community. Latin American and especially Cuban influences have also contributed, as evidenced in the dances of "Ida y V.